Last year, I read about Simnel cake for the first time, and thought it sounded absolutely wonderful. 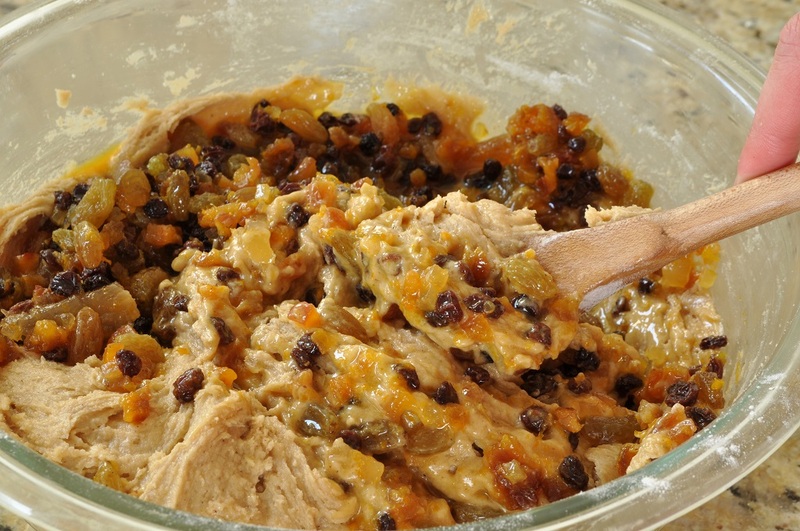 It is filled with marzipan and a lot of lovely dried fruits and all my favourite spices—naturally I wanted to make one. But Simnel cake belongs to a certain time of year. Traditionally it is served on Mothering Sunday, the fourth Sunday of Lent, when families would come together to visit and enjoy a one-day relaxation of the Lenten fast. Today it is also commonly served on Easter itself. Well, I held off until Lent anyway, although I didn’t quite make it to Mothering Sunday. However, since we already have two birthdays in Lent (my mother’s and my brother’s, and they’re only separated by eight days), I didn’t really want to make a big layer cake. So I made cupcakes instead. 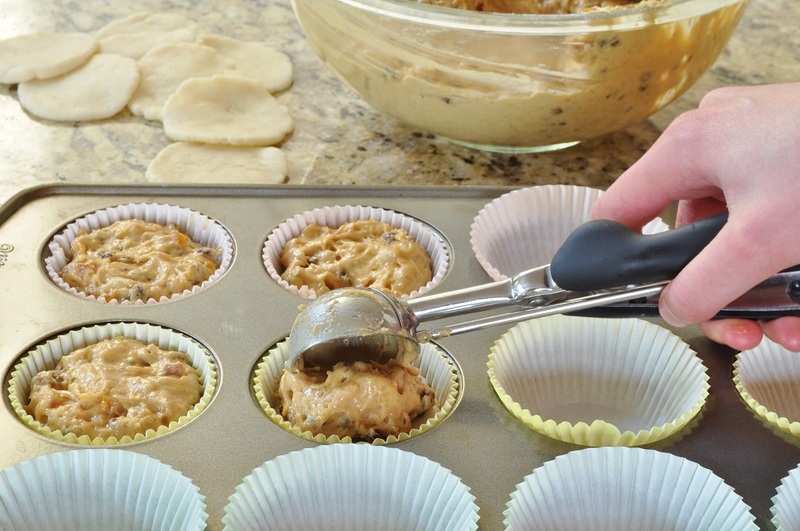 To replicate the structure of the traditional cake, you fill each cup of the muffin tin halfway with batter, press a disc of marzipan into it, and then fill the cup the rest of the way with batter. 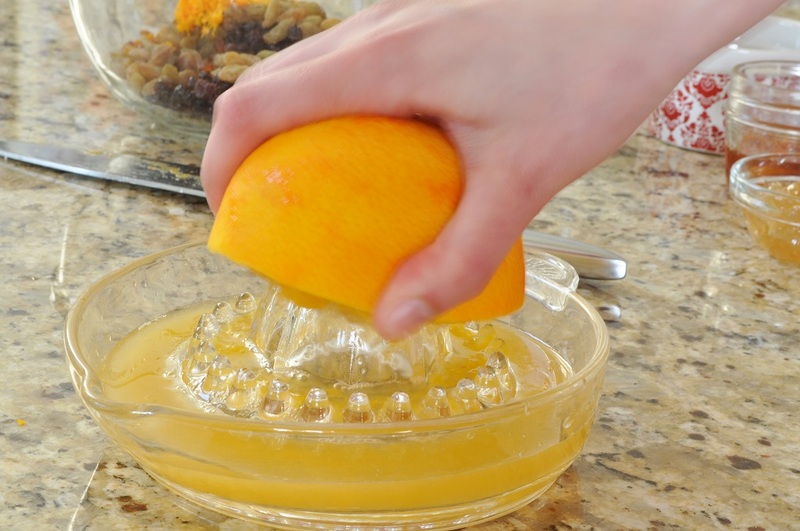 After the cupcakes are baked, the tops are dipped in an orange glaze. This allows you to get the look of a beautiful layered cake in an individual, hand-held potion. The clever method comes from a recipe I found on the BBC Good Food website, but I tweaked the ingredient list substantially to suit my own personal preferences. 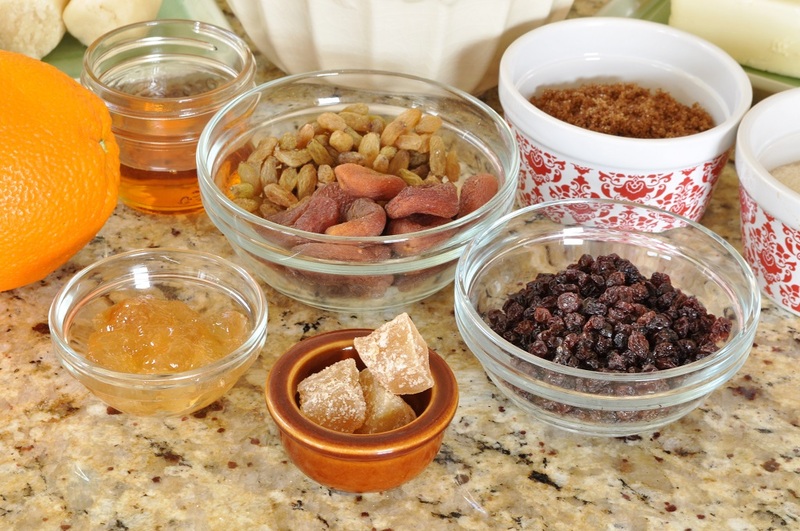 For the fruits, I chose currants, sultanas, and dried apricots, and then added fresh orange zest and juice. I kept the list fairly short, because I don’t like cluttering up batters with a lot of different fruits just because I can. I prefer to have a few that I can actually taste in the finished product. With that said, I did use all of the “Big Four” of baking spices: cinnamon, nutmeg, cloves, and ginger. But I focused mainly on the ginger, stirring some chopped crystallized ginger into the batter and scattering a few cubes on top as décor. I had wanted to use stem ginger in syrup as well, for I saw many recipes that called for it, but apparently it is not as common here as it is over in England. I had to settle for a jar of ginger preserve instead, which is sort of like ginger marmalade and quite luscious. I think these cupcakes are my favourite recipe I’ve made so far this year. They are gorgeous to look at and taste exquisite. Spicy and rich with fruit and the nutty sweetness of marzipan, they also have a certain delicacy and lightness that is quite irresistible. I wonder, would it be wrong to have them on both Mothering Sunday and Easter? The theme for this month’s Spice Trail, hosted by Vanesther of Bangers and Mash, is ginger, so I’m submitting them to that challenge, as well as the Biscuit Barrel Challenge hosted by Laura of I’d Much Rather Bake Than . . . 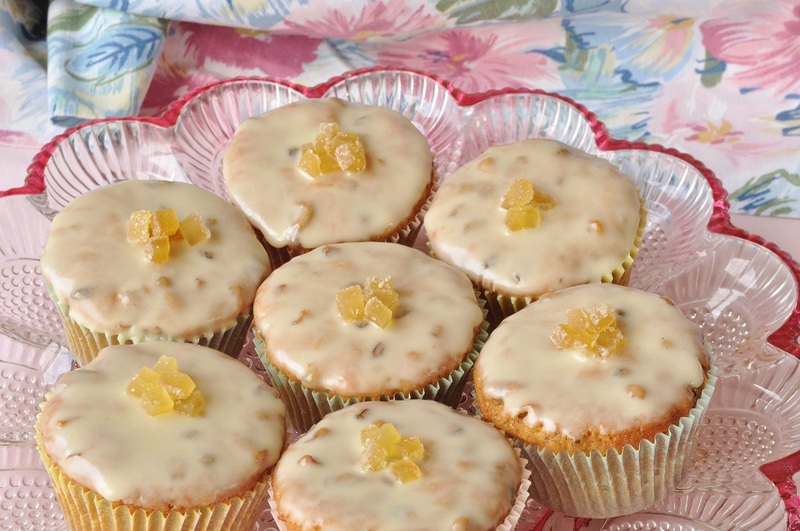 The theme was spring, and these Simnel Cupcakes, with their association to this time of year, seem perfect for it. Finally, I am submitting it to the Bloggers Around the World challenge hosted by Chris of Cooking Around the World. This month the theme country was Great Britain. Line 18 muffin cups with paper cases. Preheat the oven to 350°F. 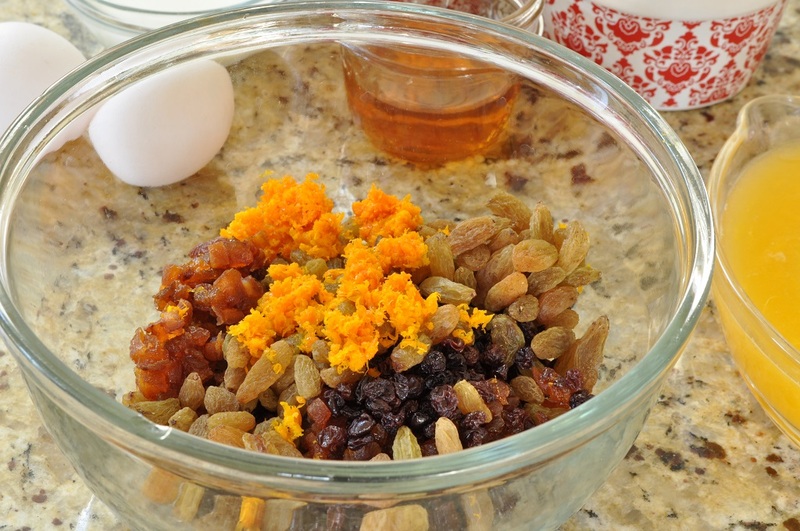 Combine the sultanas, currants, and dried apricots in a small bowl and pour over the juice and zest of the orange. Let stand 30 minutes. Or, if you’re in a hurry, microwave the mixture on medium power for 2 minutes. 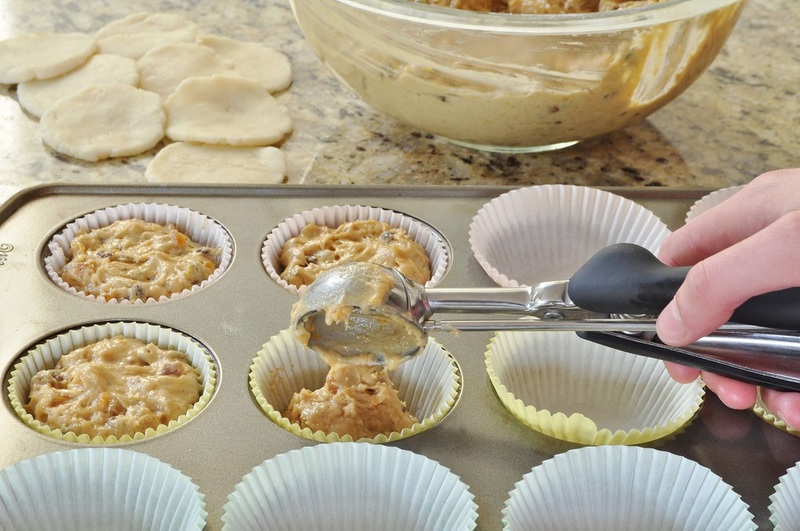 Whisk together the flour, baking powder, salt, and spices. Set aside. Cream together the butter and sugars until light and fluffy. Add the golden syrup, milk, and ginger preserve. Mix until smooth. Beat in the eggs, one at a time. Stir in the dry ingredients. Tip in the fruit mixture and crystallized ginger. 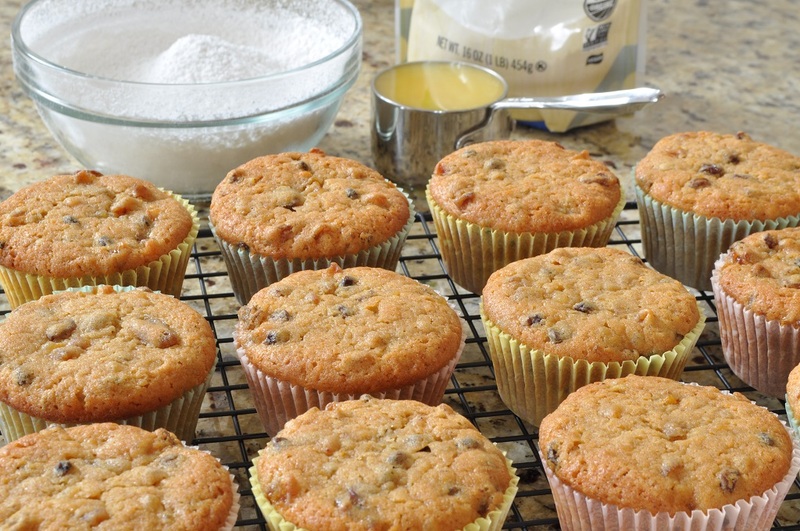 Mix until the fruit is distributed evenly throughout the batter. Divide the marzipan into 18 equal pieces. Lightly dust a surface with cornstarch and roll each ball of marzipan into a circle about 2 inches in diameter. 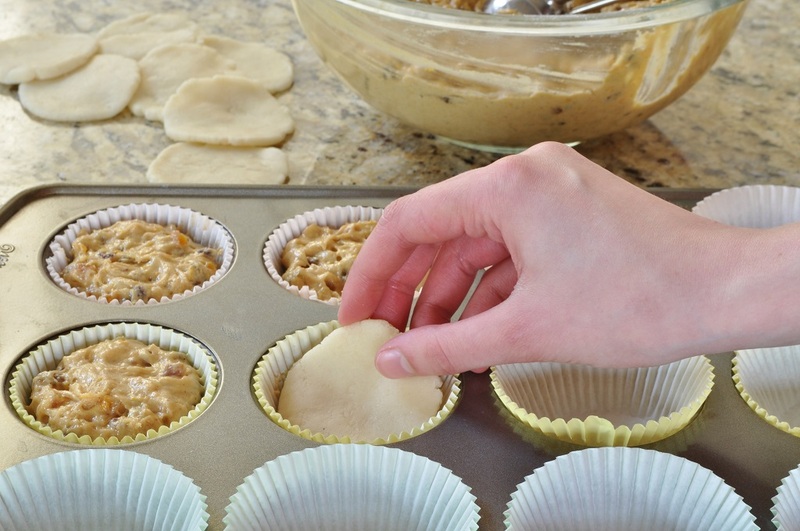 Fill the lined muffin cups halfway with batter. 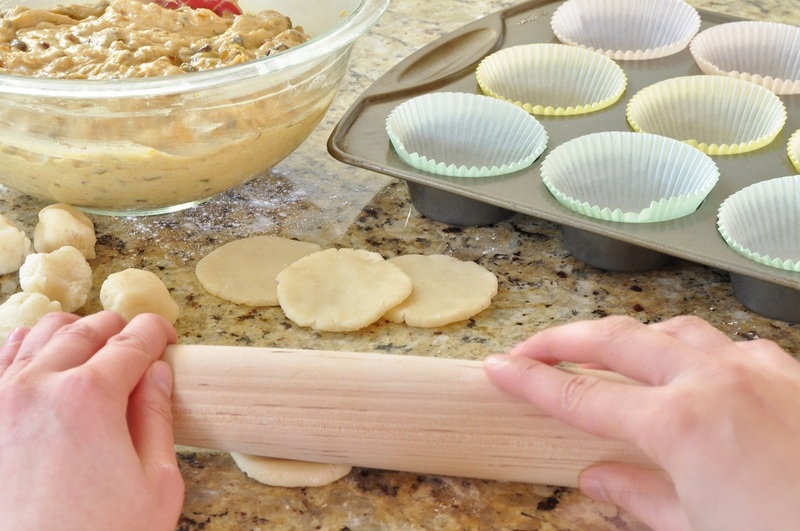 Press a disc of marzipan into each cupcake. Top with enough of the remaining batter to almost reach the top of the paper liner. Bake until a toothpick inserted in the center of a cupcake comes out almost clean, with just a few crumbs clinging to it, about 25 minutes. Let the cupcakes cool in the pans for a few minutes and then transfer them to a wire rack to finish cooling. 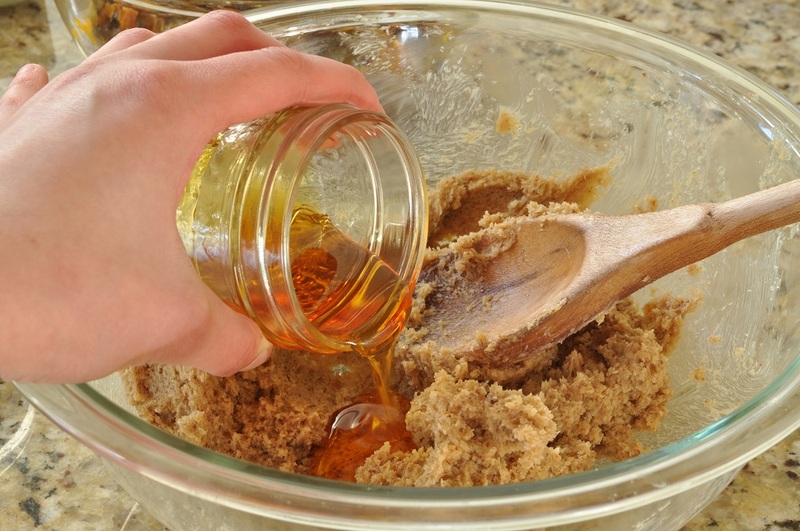 In a small bowl, whisk together the icing sugar and enough juice to make a viscous glaze. 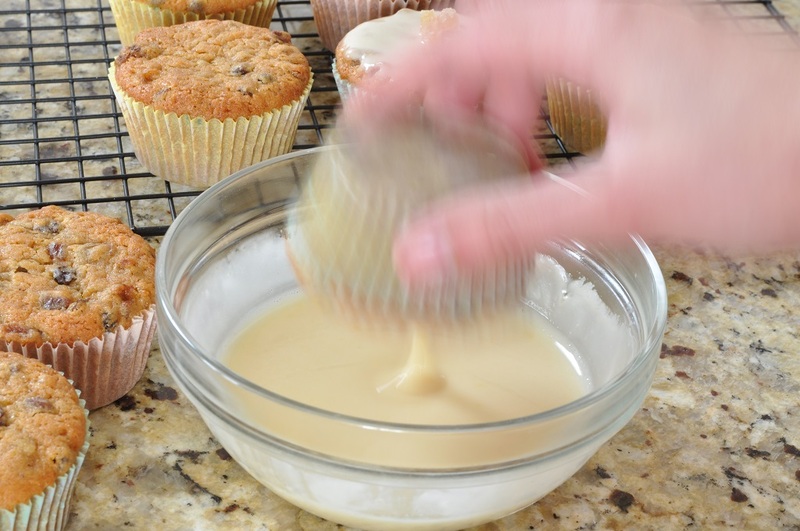 Dip the tops of the cupcakes into the glaze, tapping off the excess, and then place them back on the rack. 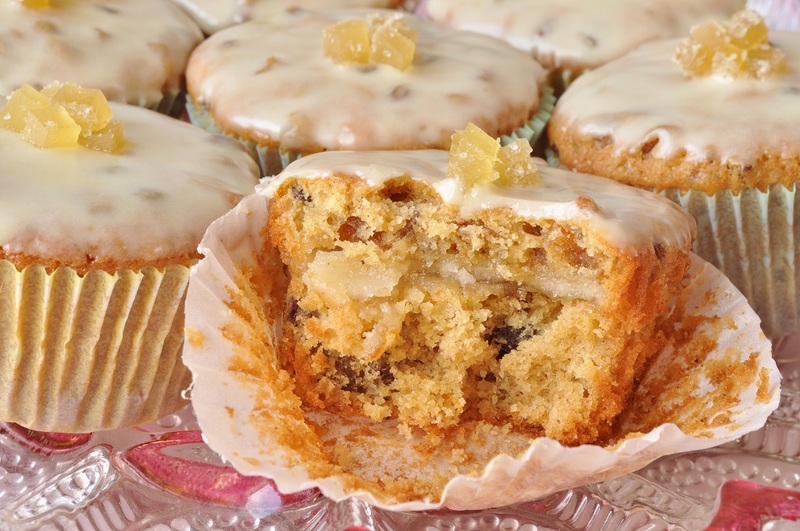 Sprinkle a few pieces of diced crystallized ginger on the center of each cupcake before the glaze sets. These really do look beautiful and I love your choice of fruits and spices. And no, there is nothing wrong with having them on both Mother’s Day and Easter Sunday! I’m determined to make a simnel cake this year and even if I miss both those days I’m still making it! At the point you mentioned marzipan, you had me all in. I love that marzipan disc you put in. 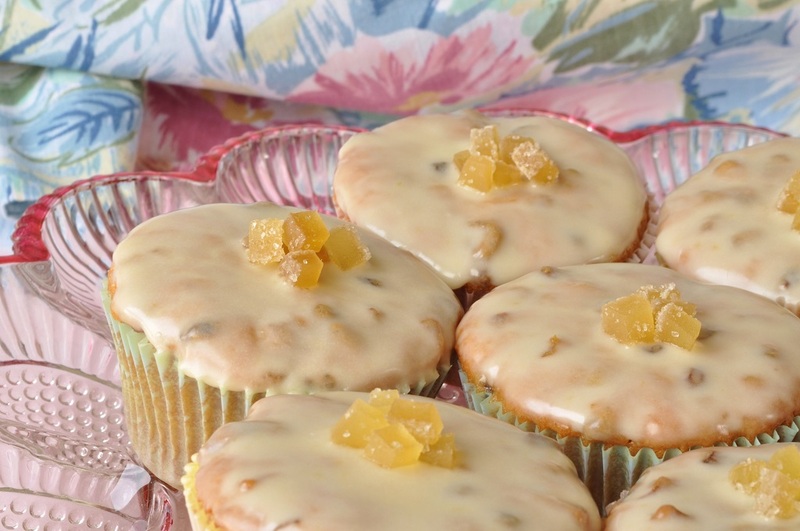 Your simnel cupcakes look wonderful. I like your photo guide you included in your post. Thank you for joining Bloggers Around the World this month. That’s when it had me, too! The layer of chewy, sweet, nutty marzipan is such a delicious surprise when you bite into the cupcake. 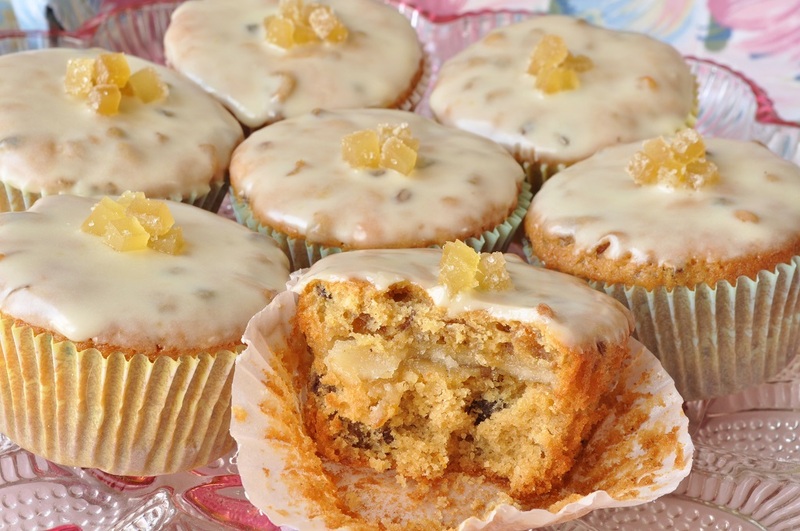 I adore simnel cake and have made many versions, but your ginger cupcakes sound absolutely scrumptious. Thank you, Choclette. Simnel cake is now a favourite of mine, and I hope to make many versions in the future! My pleasure. 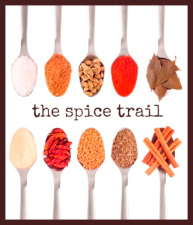 The Spice Trail is a lovely challenge–good to make us reach into our cupboards and pull out all those jars that have been lurking away in the recesses, forgotten. Thank you! Thank you, Alison. I foresee a lot of Simnel cake variations in the future of my kitchen! Thank you. I guess that I should have known that I would like Simnel cake then–I love speculaas! Hello! I'm Alexandra, the passionate cook and baker behind this blog. For me, the kitchen is a place where learning never ends, and I love exploring the cuisines of the world and experimenting with new recipes. I hope that I can inspire you to approach every meal as a chance for adventure. If you have an interest in heritage cookery, are looking for unique and delicious dishes to add to your dinner rotation, and prefer cookbooks that have photographs of every recipe, Potato Pie and Cherry Pickle is for you! Click the badge to browse my gallery on Food Gawker! Copyright © Alexandra McDermott 2015. All rights reserved.